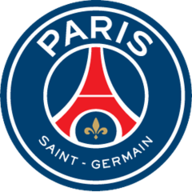 Kylian Mbappe scored a spectacular goal and then set up Neymar as runaway Ligue 1 leaders Paris Saint-Germain won at home to second-place Lille on Friday. PSG's 12th straight win from the start of the season is a record for the top five European leagues, beating Tottenham's 11 opening wins in 1960. Marco Verratti helped to create the opening goal in the 70th minute, threading a quick pass to Neymar who then picked out Mbappe's run. The France World Cup winner was slightly fortunate as Neymar's pass clipped the leg of a defender and rolled to him, but he finished exquisitely by curling the ball into the bottom right corner. Even though the 19-year-old has played in only seven of PSG's Ligue 1 games, he is already the league's top scorer with 11 goals. He flicked the ball to Neymar in the 84th minute, and the Brazil forward advanced past three players before his slightly deflected shot from the edge of the area went in. 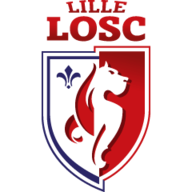 Lille striker Nicolas Pepe confidently struck a penalty past veteran goalkeeper Gianluigi Buffon in the third minute of injury time to make it 2-1. Defending champions PSG are coasting in Ligue 1 and guaranteed to be 11 points clear after this weekend.